Audi has a long history in the automotive industry. Dating as far back as 1899, making it one of the oldest vehicle manufacturers in Germany. Since it’s inception, they have been known for a few things. Truth in engineering and Vorsprung durch Technik, meaning “Advancement through Technology”. Top of the line performance where everything is designed with extreme attention to detail and without compromise to quality. Having beautiful design from the interior to the exterior. Intelligence and state of the art technology have pushed this brand into one of top names in the industry. The Quattro became the first permanent all- wheel drive system designed for passenger vehicles 35 years ago and has been the pacesetter ever since. With that kind of history it only makes sense to make certain you have the right mechanic working on your car. To keep your import running in top performance, regular routine maintenance is needed to avoid costly repairs in the future. We can help you come up with a schedule that fits your cars needs and remind you when it’s time for each service. Call or schedule your appointment online to let Dave’s Ultimate Automotive in Pflugerville, Texas help you with any and all Audi repair services! At Dave’s we have ASE Certified Technicians who are continuously trained and updated on all Audi makes and models. 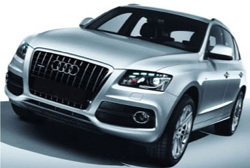 Whether you have scheduled maintenance or a more serious Audi repair needed we have you covered. With access to the latest technology, diagnostic equipment, parts and tools, you can depend on Dave’s to perform and over deliver every time you bring your car to us. We have so much confidence in our staffs ability to work on your vehicle that we guarantee all of our Audi repair services with a nationwide 24 month/24,000 mile warranty. You will never hear “sorry you’re out of warranty” at Dave’s. We know not just any mechanic can work on an Audi, so no need to look any further than Dave’s the next time you need your car serviced. Dave’s understands that being without your vehicle is quite the hassle. The world doesn’t stop when you need your car to fixed. That is why we provide free local shuttle service for your convenience. Coffee and free wifi is available while you wait. We like to treat our customers like family. One way we do this is to give free vehicle safety checks every time your car comes into our shop. That includes checking belts, brakes, tires, fluids, wheel alignment, and engine light trouble codes. We want to ensure you and your family is safe on the road and this is just one way we can help. Dave’s Ultimate Automotive is a name in Pflugerville, Texas that you can depend on for any Audi Repair Service you may need.